Awhile back we told you we were heading to Las Vegas to spend some quality time at the New York – New York Hotel and Casino and the Monte Carlo Resort & Casino and now the time has come to head on out! Bullz-Eye is looking forward to the experience but you also have the chance to hit these two great properties by entering sweepstakes here and here for your chance to live large in Vegas! So make sure you enter for your chance to enjoy the spoilings of the New York – New York Hotel and Casino and the Monte Carlo Resort and Casino, where some of the sharpest people go to enjoy their time in the ultimate getaway destination on the planet. Some of the exciting events we are really pumped up about include catching Cirque du Soleil’s Zumanity, which is described as a seductive twist on reality making the provacative playful and the forbidden electrifying. At the Monte Carlo we’re going to kick back with our group and order some of BRAND’s creative signature cocktails. 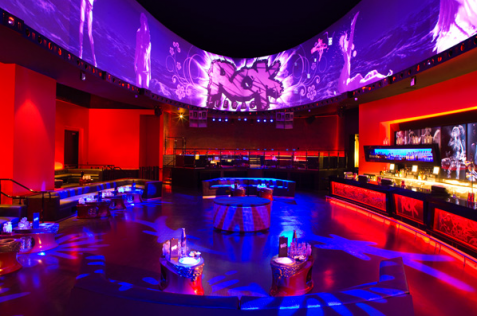 This modern spot sports dramatically lit ceiling canopies, favorite DJ’s and great people watching! Check back soon for our complete rundown of our excursion to Vegas and don’t forget to enter your chance to win one of these incredible weekend giveaways for the New York – New York and the Monte Carlo!